STATESVILLE — Iredell County opponents of an industrial-scale solar project continue facing roadblocks in their goal to prevent the facility from getting a permit. Two days before the county held a hearing on the permit, the state Court of Appeals overturned a local government ruling against a solar development in Currituck County. It was the third time in relatively quick succession the appellate court rejected Superior Court rulings based on local ordinances that upheld community decisions to bar large solar installations. Robeson and Lincoln counties experienced similar setbacks. A band of neighbors worried those precedents might sway the Iredell County Zoning Board of Adjustment to rule against them as they headed into the second round of quasi-judicial hearings Dec. 21. They wanted the county to reject a special-use permit application allowing a large solar development in Cool Springs, a crossroads community near Statesville. California-based Cypress Creek Renewables wants to turn more than 400 acres of farmland, fields, and forests populated with wildlife — bumping against a slave cemetery — into a sea of glass and metal generating 80 megawatts of solar electricity at peak performance. After taking hours of testimony from the company Nov. 16, and many hours more from opponents Dec. 21, the zoning board Jan. 4 unanimously denied the permit application. Board members had to vote separately on four criteria the developers had to meet for approval. They favored the developers twice, but cast 4-3 votes saying the project would reduce the value of adjoining properties and would not be in harmony with the community. Neighbors don’t expect the David versus Goliath victory to end here. Cypress Creek Renewables can appeal the decision to Iredell County Superior Court. But, as history shows, the solar developers’ position is getting stronger, as they are flush with cash, as well as technical and legal experts who testify on their behalf. “From a battleground perspective, or a tactical perspective, I think that opponents to these projects [are] always going to be behind the 8-ball when it comes to funding because it takes money to hire an attorney,” said Clark Tew, who represented the Iredell County opponents. In the Currituck County case, neighbors hired their own attorney. But funding, and their private legal representation, ran out before the case reached the Court of Appeals. Just finding an attorney with the proper skills to challenge a solar installation is difficult, in large part because land use issues involving solar farms are a relatively new legal field. 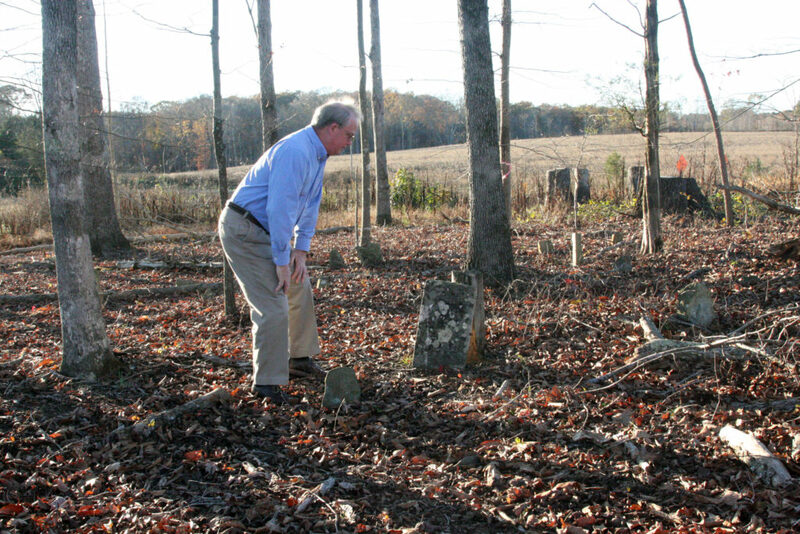 Although Tew has experience in land use trials, Iredell was his first solar case. While legal challenges to solar plants are becoming more common, Tew isn’t aware of any growing movement among attorneys to specialize in that area of law. Lawyers representing solar developers typically come from large firms in metropolitan areas who are likely to represent clients on a repeat basis. They have developed a consistent playbook to use in court. Attorneys representing opponents usually have to build their case from the ground up. But lawyers aren’t the only pivotal element in fighting solar developments. Land use cases involving special-use permits have gotten more technical as the financial stakes have risen. Tew said it was rare for technical experts to carry so much weight 20 or 30 years ago. Today’s experts with the most clout are real estate appraisers, who testify about a project’s impact on surrounding property values. Without financial backing “you generally are going to have a very weak opposition because you’re not going to be able to convince an appraiser from Charlotte, or Wilmington, or Raleigh to drive out to a county where these type of projects are typically going to be found without paying them a substantial amount to develop their analysis and then attend the hearing,” Tew said. Historically, zoning cases have involved situations such as asphalt plants, strip malls, gravel pits, or adult businesses. But because solar fights are of recent vintage, opponents must find knowledgeable experts able to testify to something, Tew said, quantifiable, substantial and material. “Because we are a state very concerned about property rights, the case law makes it clear that it is not an insurmountable burden” for an applicant to obtain a special use permit, Tew said. That low bar feeds into the Court of Appeals overturning local decisions. Opponents have to counter applicants with “substantial, material, competent evidence that would go to disprove the points raised by the applicant, or prove things not raised by applicants,” rather than just making cursory or emotional appeals, Tew said. The Court of Appeals makes fact-based decisions, and opponents are not meeting that burden. Currituck County Manager Daniel Scanlon said county commissioners are considering how to respond to the Court of Appeals decision in their case. “I think it’s certainly disappointing whenever you have a local issue that goes into the court system, and the court doesn’t rule in your behalf,” Scanlon said. County commissioners have amended their zoning ordinance to restrict where these projects would be allowed in the county, Scanlon said. The new ordinance was approved after the application for the solar development was received, so the project legally fell under the prior regulation. Lincoln County attorney Wesley Deaton said the case there is still alive. The Court of Appeals remanded it to the Board of County Commissioners, which made additional findings in favor of neighbors and against a property owner who wants to lease his land to a solar facility. The case likely will be before Superior Court for the third time in February or March. Robeson County officials failed to return phone calls seeking comment about their solar case.